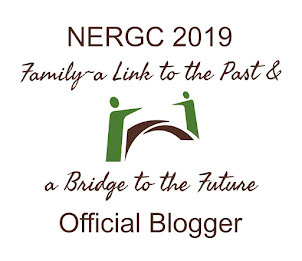 THE DEMANDING GENEALOGIST: Objects in the Mirror Are Not Authoritative: The "Indirect Citation"
Objects in the Mirror Are Not Authoritative: The "Indirect Citation"
Earlier I updated the Homer and Charry ahnentafel entries with citations to church and vital records indexes. Each of these citations noted what the index stated about where to find the original record. I write as I research. This indirect citation is thus an interim step. If an index provides a volume and page number, I put it in the working citation. If a book cites gravestones or vital records, I quote the book's information in the footnote. This is a useful habit for the "res-write" process, that is, synchronized research and writing, because it stores that interim step. The next research step is to use that index information to find the original record. Sadly enough, if I am working on my family, I sometimes go no farther than the indirect citation. Connecticut is my specialty area and my family's origins. It is in Connecticut that the massive Barbour index to vital records to 1850 tempts me every time. I can do four Barbour look-ups in the time it takes to mount a microfilm reel and view the record itself. If I viewed it, I could cite it. But I don't view it so that citation stays indirect and quotes the slip index citing the location. The credibility of my work product would improve if I went to the vital records (or their microfilm copies) every time. As genealogical standards state, "The original is the most authoritative source." Not much room for argument there. This is a term I coined for my speech "Research and Reporting the Right Way -- Together!" It reminds me of Research-Write/Right, which I like. Board for Certification of Genealogists, The BCG Genealogical Standards Manual (Washington, D.C.: Board for Certification of Genealogists, 2000), Standard 21, pp. 8-9. I agree completely, and will start doing what you seem to be doing - adding "citing [town name] records, Vo. X, Page Y" in my citation detail notes. If I can't access the original record, I try to use them ost authoritative source I can, such as the Great Migration series, or an author that claimed to use the original source. 'Tis better to have an indirect source than no source at all. Sadly, much of my database has unsourced Facts. Hi Barbara I agree as well and this is the practice I have too. I always note what information the (whatever?) kind of source I am looking at used as its authoritative source, make copies of the forewords/prefaces just for reference later on, and then I ALWAYS go back to the original source. I am lucky that I live near the NC State Archives so I have access to the original records and can do so. But always view the originals is my mantra! I think you need to pick your battles with genealogy, meaning that there is only so much time and money. If Leslie Mahler writes an article in TAG on my ancestry, I'm going to cite the article because I trust his and TAG's scholarship. I could go through every footnote and make sure I've seen all the original sources, but it's a time and money thing. I think that if you are stuck, going to the original sources helps unstick you. However, for the thousands of ancestors we have to research, we need to be choosy on how to proceed. Great Migration, TAG and NEHGR articles and a few other sources can certainly fill the bill for looking at original sources. Yes, your point is so true. It is also wise to bear in mind that a person citing an original source may have misinterpreted it, or might not have had the backstory information you have that would allow a correct interpretation. Even more, there can be typographical errors on the part of an extractor, or between author and actual publication (I have certainly made my own share). Such mistakes can affect not only the citation toward the original record, but senses of facts. the res-write concept works well though sometimes I fall down on the write up, but it's useful for all those follow up things. I prefer to always check original sources where they are available...better to be sure than have a whole tree of the wrong people. I think Geolover makes a good point about the backstory or personal knowledge and interpretation you can add to an index. When I'm not sure of some data I enter it as a hypothesis.